The Sailor Moon Sailor Venus Tamashii Buddies Mini-Statue will brighten up your desk, or pair her with any of the other stackable characters! 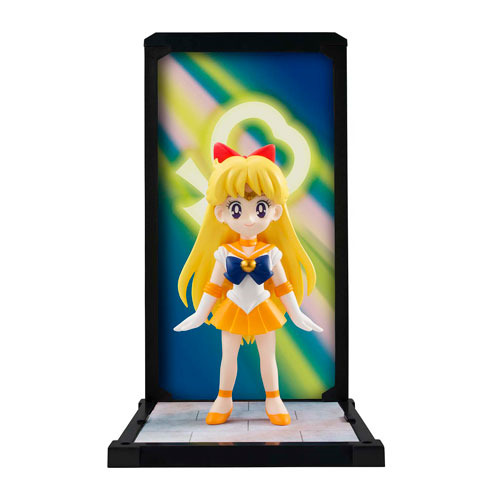 Set includes a display frame and an interchangeable background panel that portrays Sailor Venus' transformation scene. Don't forget her buddy, Tamashii Buddies Sailor Moon! Ages 15 and up.